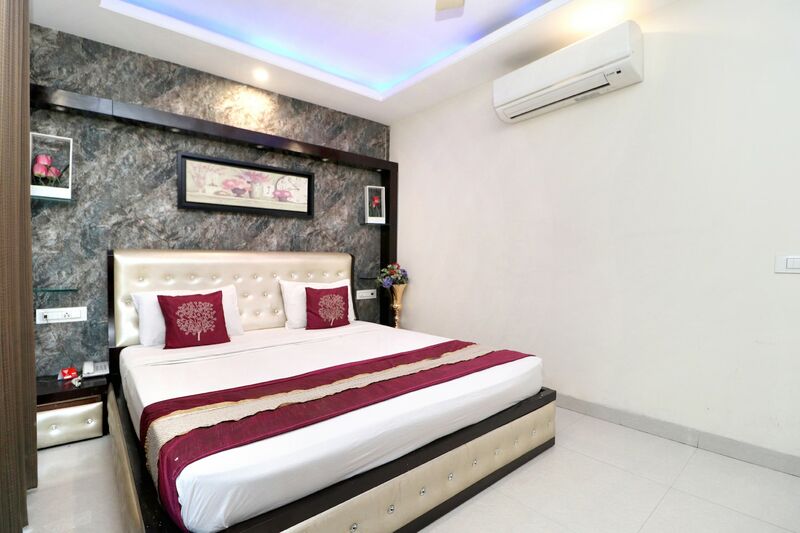 Located in the heart of Zirakpur, A One Zirakpur is a hotel with various amenities and warm ambiance. The rooms are decorated with modern furniture for a pleasant and relaxing stay of the guests. The artistic paintings and textures on the walls add charm to the overall decor of the rooms. The downlighters and the panelling on the accent wall make the space impressive and appealing. The well decorated and spacious conference room and banquet hall can be used by guests for functions and events. The in-house restaurant here offers delicious delicacies for the guests. Free Wi-Fi service can be used by guests to stay connected with social media. Various other facilities provided by the hotel include parking facility, elevator and laundry service.